Built for serious industry professionals, with features pros demand, like 40% thicker walls, smooth seam welds and a double-reinforced floor pan for long term durability, these boxes are a top pick for everyday truck owners. 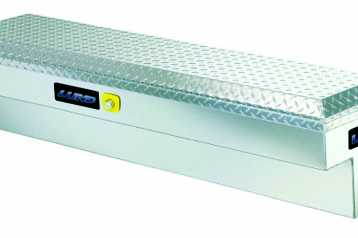 With room to spare, Seal-Tite Truck Boxes feature twin commercial gas struts that lift the lid automatically for easy, one-handed use; lockable, quick-release stainless handles and a long, single-lid design that's ideal for secure storage of expensive equipment, or bulky tools. Seal-Tite boxes are equipped with a weather-sealed domed lid and triple O-ringed push-button sealed locks, for weatherproof security. Heavy duty clamps offer easy, no drill installation on most models. Backed by Lund’s Limited Lifetime Warranty.